Upon request, filter inserts can be provided with other carbon types for special applications and operating conditions, e.g. for the adsorption of sulphur and chlorine compounds. Activated carbon filter inserts ACFI for the adsorption of gaseous odorous substances and contaminants and for the adsorption of hydrocarbons and traces of inorganic compounds from supply or recirculated air. 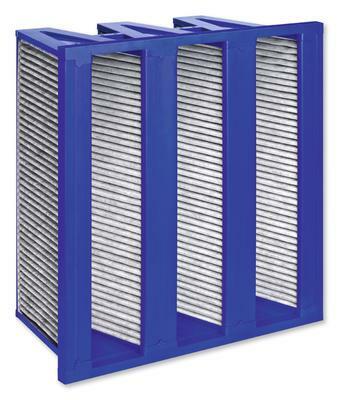 Activated carbon filter inserts are available in all commercial sizes. As standard, the filter inserts have no seal but can be provided with an optional flat section seal on the upstream or downstream side. Choice of activated carbon filter inserts with or without prefilter.